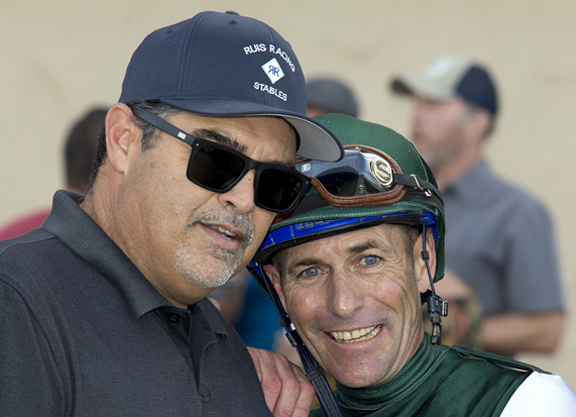 Encouraged by how well he is doing following Dec. 21 hip replacement surgery, Hall of Fame jockey Gary Stevens believes he’ll be back riding in about 10 weeks. However, his latest comeback may be a short lived one as he says he does not think he will ride again after 2017. 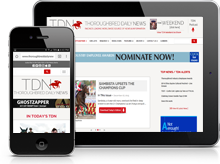 Stevens made those statement in this week’s Thoroughbred Daily News podcast. As for his return to riding, he says he’ll know more in the coming weeks, but doctors have given him a timetable for him to start galloping horses and then to ride in races. Stevens has made numerous comebacks in a career that has been plagued by physical issues, particularly knee problems. But he says this will be his last. Now 53, he says that even if he has no further setbacks, he realizes it is probably time to call it a career. Stevens said he started experiencing pain in the hip near the start of the primary Del Mar meet, but thought it could be taken care of without major surgery. He went to see the doctor who did his knee replacement because the surgeon wanted to take pictures of his knee for an article set to appear in a medical journal. While there, he asked him to take a look at the hip and it was discovered that the problems were worse that Stevens had imagined and that eventually he would need the hip replaced. “They took a picture (of his hip) and it had gone to bone on bone. It had completely deteriorated. I said no more needles, we’ve got to replace it,” he said. With all the success he has had and as much money as he has made during his career, Stevens might seem to have little motivation to keep coming back. But he doesn’t see it that way. Prior to the surgery, Stevens announced that he had reached an agreement to be the stable rider for the growing Ruis Racing stable. He will continue in that role following his return and said there is a distinct possibility he will continue to work for Ruis in some capacity after he stops riding.